ANZA, Calif. (KABC) -- An earthquake with a preliminary magnitude of 3.5 struck near Anza in Riverside County Wednesday morning, the U.S. Geological Survey said. 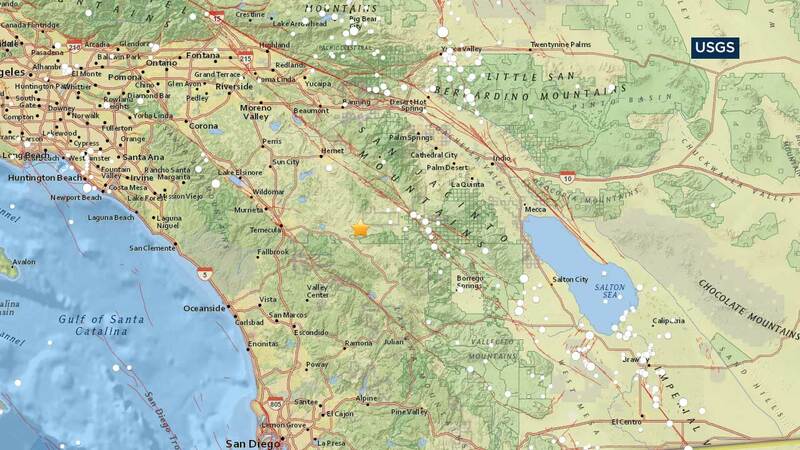 The temblor struck approximately 8.7 miles southwest of Anza at 8:44 a.m. PT, the USGS said. There were no immediate reports of damage.